Life and running are in many ways analogous. If you want to succeed in life, you need to pursue goals with an intelligent game plan made up of clear short-term, medium-term and long-term objectives. Being a bit of a genius is of advantage, but how you set up and execute goal-oriented tasks is what ultimately gets you places. 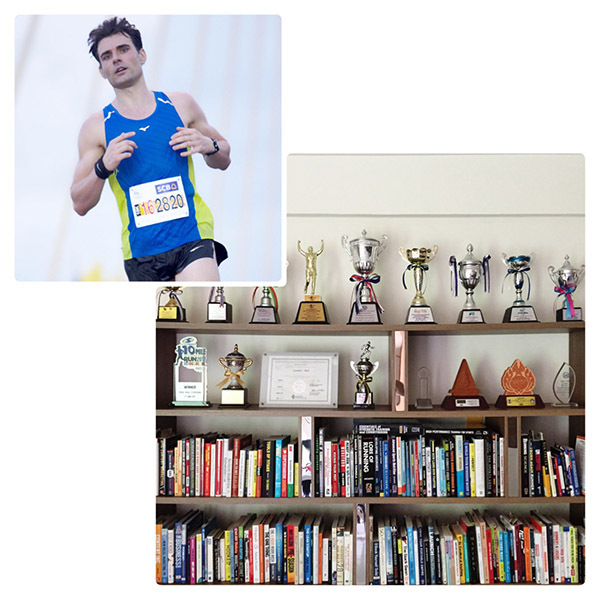 In a similar vein, in running it is helps to have inherited talent, but learning to excel at the training process is what separates average runners from great ones. No one ever made it with talent alone. First off, it is important to understand that fitness training and performance training aren’t the same. While it is perfectly ok to “keep in shape” with a daily routine that repeats itself, that strategy will not get you very far in your pursuit for faster race results. Unlike fitness training, top performance is built in cycles by piggy-backing one adaptation on top of another. 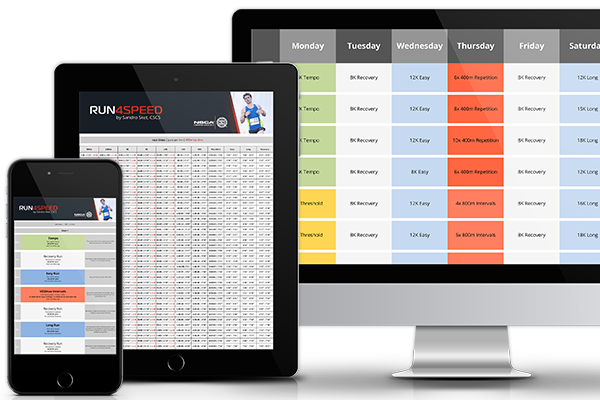 For that reason, the training schedules of elite runners are designed in a logical, sequential manner. They categorize their training into macrocycles, mesocycles and microcycles. THE MACROCYCLE is commonly a calendar year, but the time frame can be shortened to accommodate a specific goal race. I personally prefer to think of that shorter time frame, as it is more manageable. Besides, it has been shown that your body can only improve for up to 24 weeks at a time before a plateau is reached. The typical macrocycle length to reach a PR over the 5K and 10K are 12 – 15 weeks and over the half-marathon and marathon 15 – 21 weeks, depending on your training level. THE MESOCYCLE can be anywhere from 2 weeks to several months. In my training plans, mesocycles are 3 – 6 weeks in length. There are 2 rationales behind these focus blocks. For one, you can’t develop all your various physiological systems at once. That would be an overkill. (Ironically that’s the default mode of most runners—without success.) Secondly, you can’t build race-specific speed endurance without having first worked on general endurance and general speed: e.g., VO2max intervals have to precede tempo runs, et cetera. THE MICROCYCLE is typically a week, although this, too, is entirely arbitrary. It could also be 10 days, for instance. For reasons of convenience, however, most athletes stick to weekly microcycles. Here is where the ‘yin and yang’ of training plays out; the balance between stress and rest. Remember: Training = Workout + Recovery. In other words, the intelligent placement of individual workouts is just as important as the workout itself. In fact, the weekly structure can enhance or diminish the adaptations for each workout. Now lets zoom into the 4 mesocycles. The old guard of coaches often focuses on a Lydiard-style base phase of high mileage in the beginning and introduces speed in later phases. Though, this approach has been increasingly challenged by modern day coaches and the latest research in exercise science. The main point of criticism is that without the early introduction of top speed your body will not have the neuromuscular foundation to perform well at successive training paces at or above lactate threshold. PRE-CONDITIONING is the 1st stage of base-building. It basically stands for “training to get ready for training”. In this phase, the focus is to carefully build up to the mileage demands of the later stages of training. Some of your easy runs should be sprinkled with strides of 10 – 20 seconds at 1500m race pace. You can do them throughout your easy runs or execute them after those sessions. Start with 3 repetitions and slowly build up to 10. In case you haven’t had a seasonal break, you can skip this mesocycle altogether. POLARIZING represents the 2nd stage of base-building. Here you will extend your weekly long run and introduce 1 track day with 400m repeats at 1500m race pace. For those who do not have a track available in their vicinity can perform these sessions also in a park or on a quiet road. This anaerobic element is extremely important to advance your neuromuscular recruitment and will pay big dividends in the coming training phases. Very little training is done in the middle spectrum of paces. SHARPENING is the 3rd stage of training. 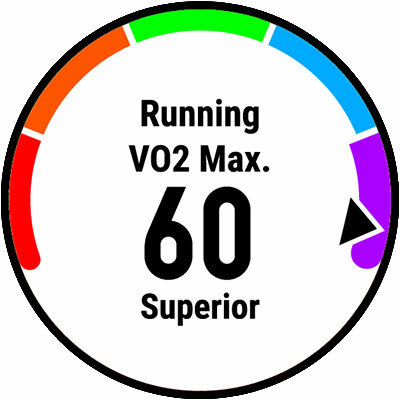 Having established a solid foundation of general endurance and anaerobic speed in the earlier stages, your body is now well prepared to move on to the next level of training: developing VO2max capacity with long intervals and sharpening the lactate threshold with tempo runs. Whether your goal race is a 5K or a marathon, this focus block will dramatically increase your fitness level. You will notice that your pace will become faster across all running workouts. RACE-SPECIFIC stands for the final stage of training. As the name implies, the focus is on the specific pace required for your race distance. 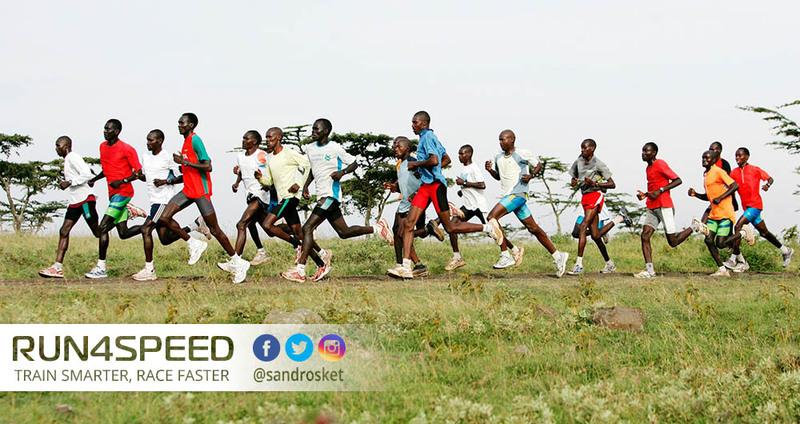 For example, if you prepare for a half-marathon then a great deal of running is necessary at lactate threshold pace—i.e., stand alone tempo runs or an added tempo section at the end of a long run (progression run). This improves running economy and muscular fatigue resistance at race pace. Both of which are necessary elements of speed endurance for your particular distance. In summary: The careful planning of your season, phases, and weekly structure will enable you to break through performance plateaus, reduce the risk of injury and avoid burnout. You will still have to work hard to achieve your goals, but it will feel a lot more manageable with a sound training system in place. Also, it will instill confidence that your efforts will be rewarded on race day. The point to take away: Don’t try to re-invent the wheel when coaches, scientists and elite athletes have it figured out for you.